Learn more about regions in upstate New York with the help of these online guides. 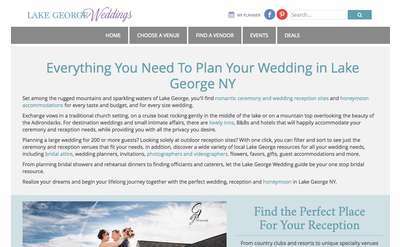 From Albany to Lake George and the Adirondacks, these comprehensive guides are full of information about events, businesses and coupons for each region. 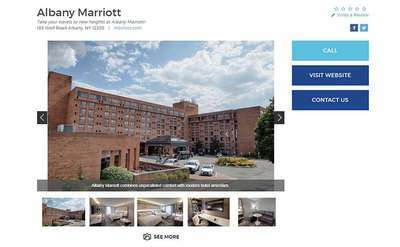 Albany.com is your premier local resource for everything you need to know about what's happening in New York's Capital Region. Find things to do, places to stay, dining options, local events, and so much more in our online guide. 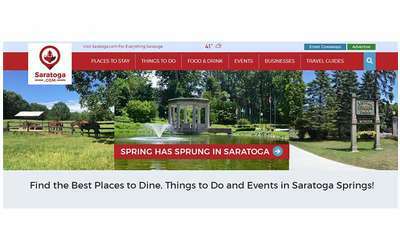 On Saratoga.com, you'll find everything you need to plan a day of fun in Saratoga Springs, NY! 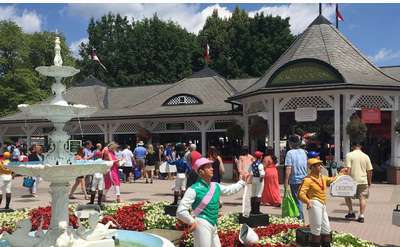 This online guide offers information on lodging, restaurants, things to do, the Race Course, entertainment and events, and more. Adirondack.net is the perfect place to plan, peruse, and prepare for your experience in New York's Adirondack Park. Our definitive guide has information on local lodging options, top attractions, the High Peaks and trails, events, and more. 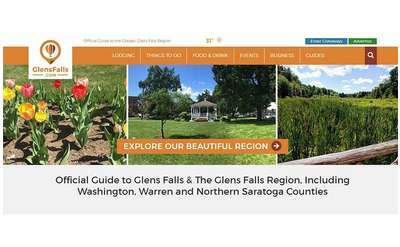 GlensFalls.com is the key to having the best experience in Hometown, U.S.A. No matter what brings you to Glens Falls, NY or any place nearby, GlensFalls.com will open the door to top attractions, things to do, restaurants, and more. High stakes, big races, champions and upsets - all part of the experience of "the Track", and your guide to all these things is here at SaratogaRaceTrack.com! 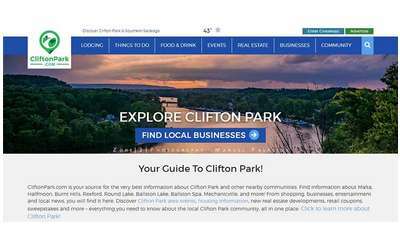 CliftonPark.com is the best online guide to planning a fun-filled day in the Clifton Park area. We offer information on a wide range of topics, from local accommodations and restaurants to fun activities and events. 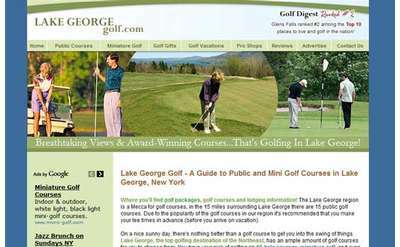 Find out why Lake George, NY was rated in the top ten places to live and golf on LakeGeorgeGolf.com! The big day you've been planning in your mind all your life - suddenly you have to do it for real! 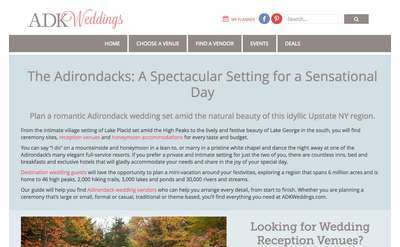 Don't panic - AdkWeddings.com has your Adirondack Wedding covered. 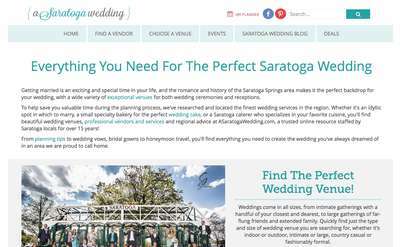 Planning a dream wedding in Saratoga Springs? No problem - find it all here on ASaratogaWedding.com.